I can hear you already. Here she goes again, telling me how great LinkedIn is. It IS great, and not enough of you are utilizing it to its fullest potential. Really. The biggest complaint I hear about LinkedIn is that your clients aren’t on LinkedIn. And that may very well be true. Maybe today, the clients that you have aren’t active on LinkedIn. You want more clients, am I right? Smart, Savvy, Successful clients? THOSE next clients are probably on LinkedIn. I know you’re on Social Media overwhelm, and I’m not trying to make that worse. I’m trying to ease it up. You can spend much less time on LinkedIn than you do on Facebook/Twitter/Pinterest/Instagram and get more return on that small time investment. Today I’m going to show you the first thing you can do to take your LinkedIn profile from newbie to professional. Take a look. Oh I’m so happy to see I had done this at some point! Would love any intuitive insights you have about simple steps I can take to improve even further on mine! I took a look at your profile. I would beef up your headline. (next weeks blogpost!) It’s searchable by google, so you want to make maximum use of keywords and characters. Who are you, what do you do, who do you help? Hi Kari! Glad it’s helpful. I would give you the same advice I just gave Sabrina above, beef up your headline. Google your name, your LinkedIn profile will come up pretty high, what can you say in your headline that will make your ideal client click on it? Awesome. No more neglecting LinkedIn! Google your name and you’ll see why. Wow, great tip. I connect with a lot of big shots on LinkedIn and this is a fantastic tip. On it right now. Making this change does make you LinkedIn look more slick. Love to hear more tips on how to streamline LinkedIn with my other social media. Great! Stay tuned for more next week. Thanks for the great video Karen! This is such an easy thing to set yourself apart. I did mine already, but I’m passing this quick tutorial on to a few friends. Great work! I love your LinkedIn tips and posts. So keep ’em coming! I appreciate how you show us what to do in the video, rather than tell us what to do. Makes it easy. Thank you! My pleasure Nancy. More on the way! Karen .Thank you so much for your tips. I love all of them ! It is very kind of you to offer your help . Will appreciate that . Blessings . Thank you for that first tip! Can’t wait to learn more. I would love for you to take a quick peek at my profile: http://www.linkedin.com/in/joyfichiera. Joy it would be great for you to start accumulating recommendations. The best way to do that is by GIVING them. You can also ask clients, etc. That would really pop your profile! Great idea- I have not done that in the past and will start. I really appreciate you taking the time and am using all your tips. 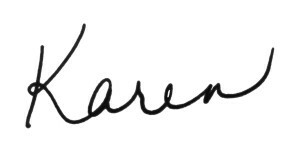 thank you, karen! because of one of your helpful linkedin tips, i joined several groups that were relevant to my mission. and it has made a world of difference. i need to go work on my actual profile though . . . AWESOME April! I love love love hearing that. Let me know if I can help with your profile. My biggest question is how to talk about my ‘business’ while still emphasizing my full-time job? Obviously, I still want to make connections within my full-time industry while I’m still growing my side hustle business. Since LinkedIn is about YOU, it’s perfectly acceptable to show that you’re “multipassionate”. You do want to have a primary focus, so if there’s a way to position your side biz in a way that also supports your FT position, great. In any case, I find that people really look to see what THEY’RE interested in about you, so I don’t think they detract from each other, even if they’re wildly different. Thanks Karen, really trying to improve my interaction with LinkedIn via joining groups…now I need to schedule time to proactively be part of key groups where my target market hang out! Here is my profile. 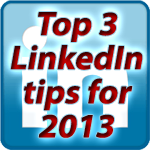 http://www.linkedin.com/in/lizbrazier Appreciate your input! Liz your profile is awesome. If you’re looking to leverage groups, I might join more. You can join up to 50. Yu can then weed through them and see which ones work for you. BUT, the more groups you belong to, the more people you can connect to via those groups. You might also consider starting a group of your own! Thanks Karen, Great idea and feedback. Start my own group! Thank you.